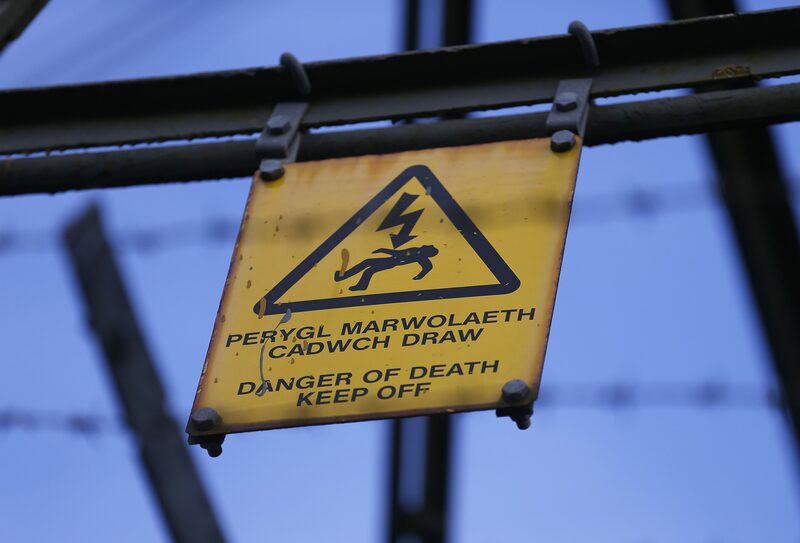 A caution sign hangs on a pylon outside Wylfa Nuclear Power Station in Cemaes, northern Wales February 22, 2013. The UK government said on June 4 it would consider investing in the Horizon nuclear project at Wylfa Newydd alongside Hitachi, the Japanese government and other parties. In a statement to parliament, Business and Energy Secretary Greg Clark confirmed that Hitachi and the UK government had entered into negotiations on the project, although no final decision had been taken to proceed. The plant could provide around 6 percent of the UK’s current electricity needs, he added. Clark said that the government’s longer-term objective remained for new nuclear projects to be financed by the private sector. The so-called strike price, a guaranteed payment for the plant’s electricity, could be about 77.50 pounds per megawatt hour, the Sunday Times reported on June 3.